I gave this as a gift. My daughter-in-law collects anything "moose". She LOVED this clever ornament. Was a gift for my daughter and she loved it. Made a great gift this year for Christmas. Fun gift for the family. This is the 3rd year that I have purchased these and this year they were as fantastic as the other 2 years. I'm going to glue in on a Christmas stocking. Each Christmas Ornament I tried to have the ornament be personalized and also have something that relates to each person I ordered the ornament for. I have been doing this for several years now and everyone enjoys receiving something that they know was purchased for them and they love seeing their name on it. My granddaughter suggested I do this each year because she liked it so much. They are cute. My granddaughter in Alaska will love it! 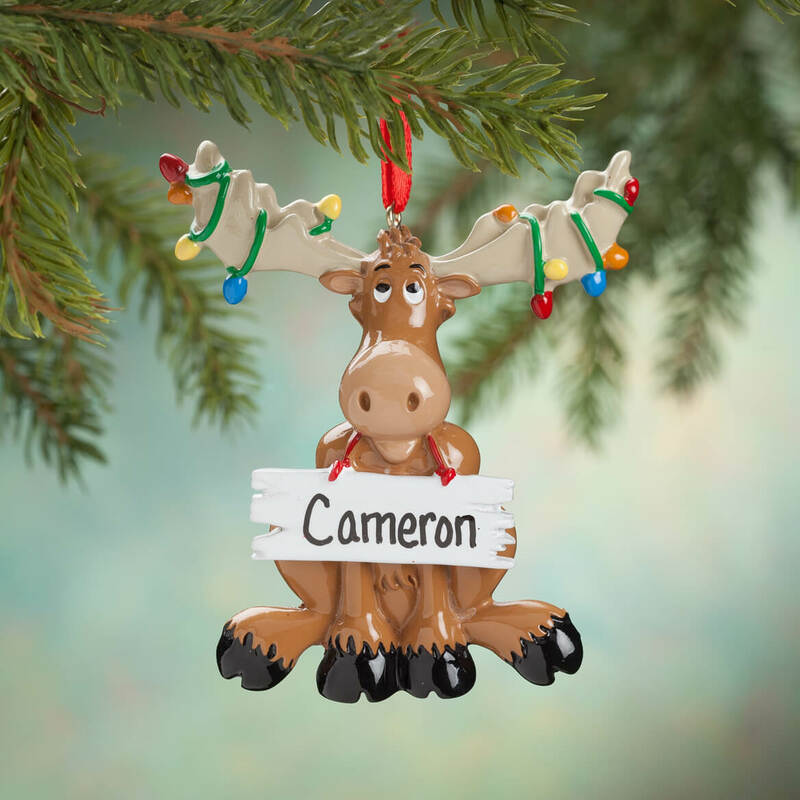 I have ordered ornaments from you for years and like what I'm getting!!!! 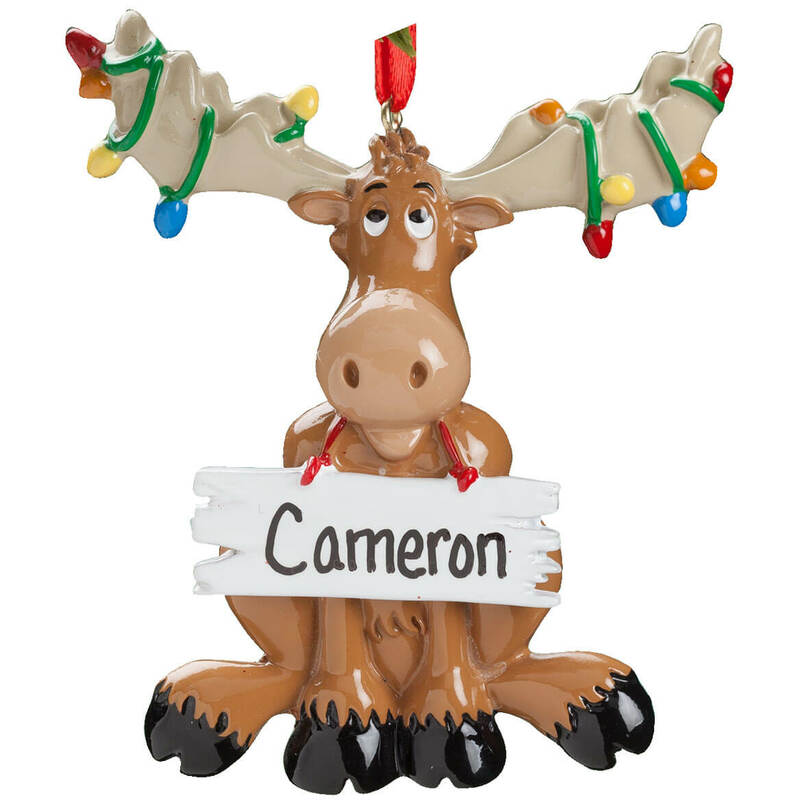 It was cute and its a Christmas present for a relative who collects "Moose"
Because my sons nickname is moose. Because the one I wanted would not load and my great grandson loves to hunt. Every year I buy some of these type ornaments. The price and quality cannot be beat! My Daughter-in-law collects anything "moose". This ornament was perfect! She loved it!